Come summer time, we are all ready to embark on our annual vacation; the only difference is, some of us will be going abroad. Traveling to a foreign destination is unlike most holidays, they will require specific preparations you might not otherwise need to think about. For example, traveling internationally often means bringing along a passport, considering certain health precautions, or packing for certain weather. If you’ve made plans to go abroad for your next trip, here are just a few tips to help you prepare, and ensure a smooth journey. 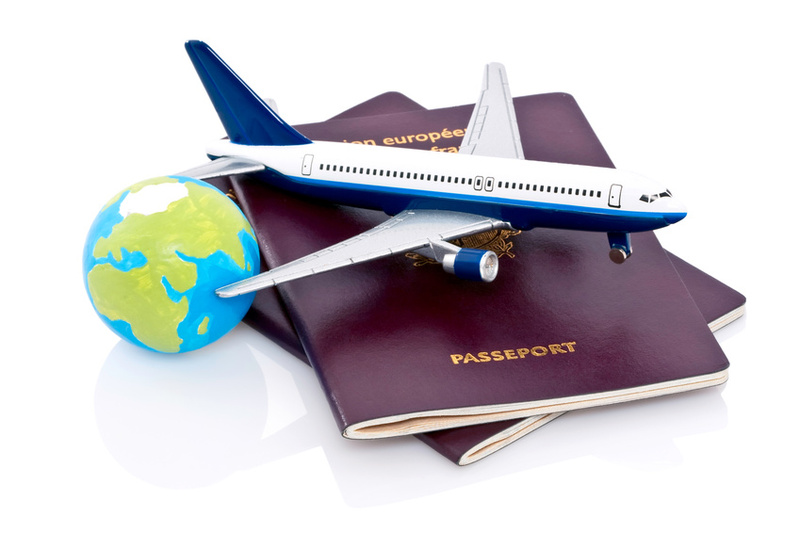 1) Legal and financial preparations: if you’ll be needing a passport for your journey, you’ll need to be sure you apply several months in advanced. Processing a passport can take months, even if you need to renew. Make sure your passport is up to date, and has any visas you may need for your trip. Also, consider your travel insurance and car insurance (if you are renting a car during your trip) options and determine what coverage is right for you. This can include your medical care abroad, flight cancellations, baggage loss and more. You can also be sure you are getting the best rate on your travel plans by comparing prices online, and by using a Thomson discount code to add on the savings. 2) Remember your health: whether it’s a remote island, or a metropolitan city, traveling abroad can take it’s toll on your health. If you need any vaccinations before your trip, plan ahead and consult a doctor early; some must be taken a certain amount of time before you depart, which could affect your travel plans. Make sure you also pack familiar medications for basic ailments like an upset stomach, headache, or cold symptoms. This helps you avoid frustrating translations when dealing with an unfamiliar language. When you arrive, try to drink bottled water as much as possible, as even the best quality water will still be unfamiliar to your stomach, and can cause sickness. 3) Pack for every scenario: many popular holiday destinations abroad have tropical, unfamiliar climates, such as with islands. Make sure you pack for possible sudden rain, extreme heat, and other weather. Those expecting more sun exposure than they’re used to may want to pack long sleeves, a hat, and sunblock. Those traveling to ski resorts and other cold, high-altitude destinations should pack accordingly. Other essentials include shoes that have already been broken in, and washing detergent and clothes line if facilities won’t be available. 4) Study up: traveling abroad often means handling unfamiliar languages, currency, and public transportation. Prepare yourself for a smooth trip by studying up on your destination; whether you learn some phrases in the local language, get an idea of conversion rates and costs of basic services, and the nearby public transportation routes that may be useful. You can also make note of the nearest hospital, bus stops and restaurants to your accommodation. Mark them down on a map you can take with you, in case internet access is not readily available. You can also check to see if your choice of accommodation, rental car, flight, or other travel details are eligible for savings this year with a Travelodge discount code 2011, which can cut down the cost of your holiday. Thanks for sharing the tips! For me, the more I travelled, the more I realised that you don’t really need to pack for everything. You can get most of the things you need, anywhere in the world. So, pack light – you can always buy the things you forgot or need when you’re at your destination. Thanks for posting this. It seems a lot of things to do to plan for a trip but you are indeed correct because it would be hard to fix problems if you are already on your destination and they don’t speak your language. I do agree with the financial preparations, always make sure you have enough cash because some destinations don’t accept credit cards especially if you go to one of those tropical locations. They will only accept cash. Hope you enjoy your next vacation and take a lot of pictures. Tips on this page help a traveler. I like this so much. Last year I take a direct holidays packages which helps me to enjoy my vacation.